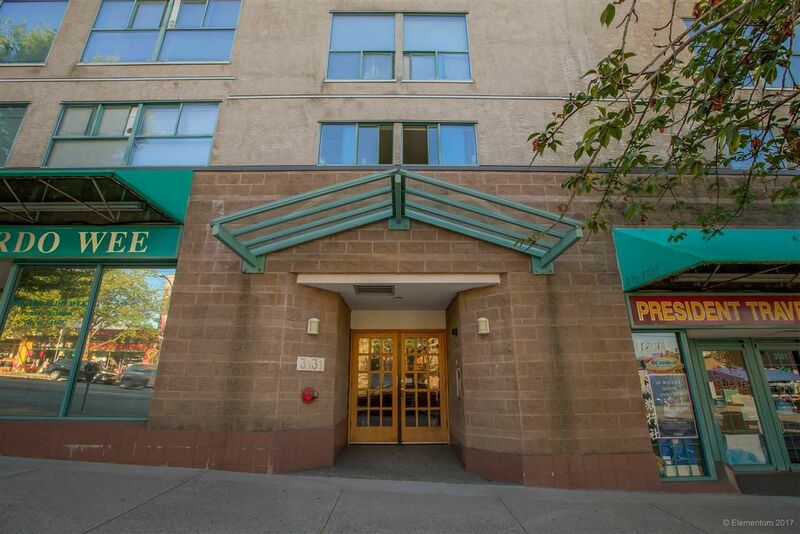 This southwest corner unit is located right on Main St at Cartier Place, on the quiet side of the building. Problem free, rainscreened building w/CRF close to $500,000! Tons of shopping, restaurants, transit right at your front door. Tons of natural light pours through your renovated unit. Laminate and tile flrs throughout. Kitchen has quartz countertops, white cabinetry and stainless appliances. Bathroom reno matches your kitchen. Open living/dining rm w/gas fireplace included in your maint fee and sliders to your cover patio. Good size bdrms on oppsite sides of the unit. Master will fit your king size bed. Underground parking and storage included plus bike storage. Pleasure to show!